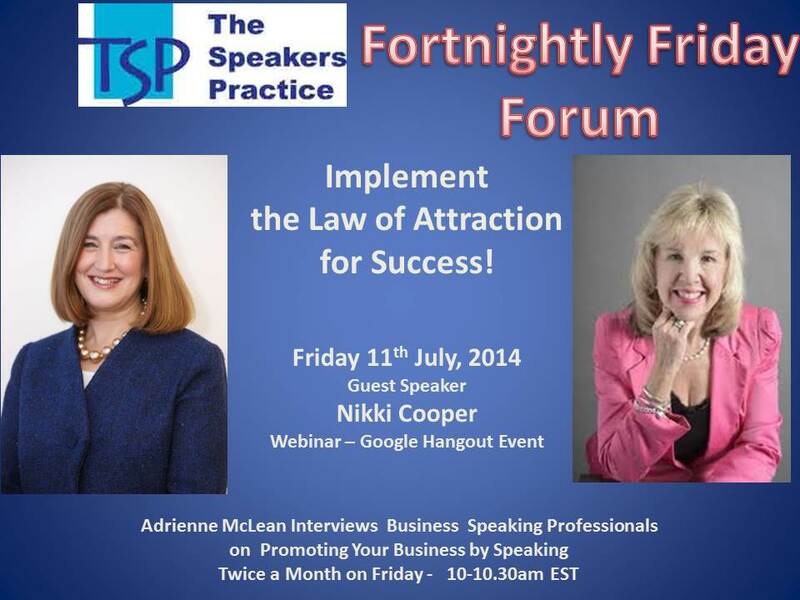 Nikki Cooper is a public speaker, author and online marketing consultant specialising in video creation and law of client attraction and runs regular business networking events in Sydney. Nikki’s passion is helping business owners learn, connect and engage and Nikki is going to share with you today, the information usually reserved for those who attend the networking events. Here are the questions – there’s some brilliant concepts and ideas discussed! Nikki you once told me, “97% of people live life filled with regret, wishing they could be something more. Only 3% actually do what they love, earn what they want, and be who they want to be. “ Why is this so? We have all heard many definitions of the Law Of Attraction and I know you have studied it in great detail and written a book called “Your Successful Life” after interviewing 24 Succesful people, but can you explain in simple terms? What 3 Steps do you recommend people use to achieve the Law Of Attraction in their business? You have been quoted as saying “Think it dream it believe it and you will achieve it” Can you expand on this? 5. I ask all our guests this – As a Trainer, Mentor and a Professional Keynote speaker , what is your advice about promoting your business by speaking? Thanks to Nikki Cooper for a wonderful discussion – Enjoy!